No Risk for You: 365-Day 100% Money-Back Guarantee! "Waaay beyond most instructional stuff out there. For much less than the cost of a lesson with any one of these artists, you are getting YEARS worth of material to work with. And they are gifts that keep on giving, meaning repeated watching/listening yields new and/or refined insights. I just watched the end of Pilc's Transcending The Instrument video and what he says and plays is utterly inspiring. ALL of these videos have touched me deeply in one way or another. Also, the production quality is great. They obviously put a LOT of love, care & hard work into making these videos. I can’t say enough good things about them. PS: Also, the site is excellent. Easy to use & very user-friendly. Clean look, not cluttered and complicated. "Cutting edge jazz instruction from a master! If you are a jazz musician serious about getting better or making the most of your practice time, you won't ever regret buying this! This is *the* jazz instructional video to get. In one video, Kenny covers the entire spectrum of ingredients that a jazz player needs to work on. Melody, Harmony and Rhythm – and he puts these three elements together in a cohesive and deep way that no one else has done before. Nothing I have seen even comes close to this, in terms of the level and quality of instruction here. You can see that Kenny put a lot of thought and work into the presentation and production of this video. This is not a hacked together disjointed instructional video, like many others I've seen. The material is very thoughtfully and logically presented, Kenny's communication is flawless, and the video quality is great." If you want to view or use http://jazzheaven.com, you must agree to conform to and be legally bound by the terms and conditions described below. If you disagree with any of these terms or conditions, do not use our website. This website (http://jazzheaven.com) may contain one or more videos and/or audio recordings (individually and collective hereinafter referred to as the “Recordings”). This section describes our respective rights and responsibilities with regard to the Recordings. We review our website periodically for broken or out-of-date Recordings. Any and all Recordings may be posted, altered, or removed at any time. To report problems with Recordings on our website, or for more information, please send an email to falk[at]jazzheaven.com. All content on our website is owned by us or our content suppliers. the fullest extent of the law anyone who attempts to steal our property. private exhibition for the individual purchaser. but not limited to Title 17 of the United States Code, Chapter 5.
using each Subscription at any given time. from purchasing any future subscriptions. We are not responsible for any obscene or offensive content that you receive or view from others while using our website. However, if you do receive or view such content, please contact us by email to falk[at]jazzheaven.com so that we can investigate the matter. Although we are not obligated to do so, we reserve the right to monitor, investigate, and remove obscene or offensive material posted to our website. You also agree that any dispute between you and us, excluding any intellectual property right infringement claims we pursue against you, shall be settled solely by confidential binding arbitration per the American Arbitration Association commercial arbitration rules. All claims must arbitrated on an individual basis, and cannot be consolidated in any arbitration with any claim or controversy of anyone else. All arbitration must occur in Kings County, NY, United States. Each party shall bear one half of the arbitration fees and costs incurred, and each party is responsible for its own lawyer fees. If you have additional questions, comments or concerns, please contact us by sending an email to falk[at]jazzheaven.com and providing us with information relating to your concern. Unless otherwise expressly stated, you should assume that all references to products and services on http://jazzheaven.com are made because material connections exist between the website’s owner(s) (“Owner”) and the providers of the mentioned products and services (“Provider”). The Owner recommends products and services on http://jazzheaven.com based in part on a good faith belief that the purchase of such products or services will help purchasers in general. The Owner has this good faith belief because (a) the Owner has tried the product or service mentioned prior to recommending it or (b) the Owner has researched the reputation of the Provider and has made the decision to recommend the Provider’s products or services based on the Provider’s history of providing these or other products or services. The representations made by the Owner about products and services reflect the Owner’s honest opinion based upon the facts known to the Owner at the time a product or service is mentioned on http://jazzheaven.com. In some instances, the Owner and a Provider will have a business or personal relationship that does not involve the Owner receiving compensation related to products and services mentioned on http://jazzheaven.com. However, the nature of the relationship is sufficient to establish a material connection between the Owner and the Provider. Because there may be a material connection between the Owner and Providers of products or services mentioned on http://jazzheaven.com, you should always assume that the Owner may be biased because of the Owner’s relationship with a Provider and/or because the Owner has received or will receive something of value from a Provider. Perform your own due diligence before purchasing a product or service mentioned on http://jazzheaven.com (or any other website). The type of compensation received by the Owner may vary. In some instances, the Owner may receive complimentary products, services, or money from a Provider prior to mentioning the Provider’s products or services on http://jazzheaven.com. In other instances, the Owner may receive a monetary commission or non-monetary compensation when you take action based on the content of http://jazzheaven.com. This includes, but is not limited to, when you purchase a product or service from a Provider after clicking on an affiliate link on http://jazzheaven.com. 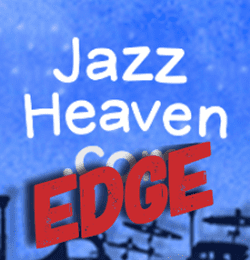 Our website, http://jazzheaven.com, contains hypertext links to websites and other information created and maintained by other individuals and organizations. These links are only provided for your convenience. We do not control or guarantee the accuracy, completeness, relevance, or timeliness of any information or privacy policies posted on these linked websites. You should know that these websites may track visitor viewing habits. We review our website periodically for broken or out-of-date links. Any and all links may be posted, altered, or removed at any time. Please note that links to external websites may expire over time. Such expiration is beyond our control. To report problems with links on our website, or for more information about this policy, please send an e-mail to falk[at]jazzheaven.com. You understand and agree that there are important risk factors that should be considered by you when deciding whether to purchase Instructional Video(s). The following disclaimers apply to the extent this website (http://jazzheaven.com ), our products or services, and/or our communications with you refer to income, earnings, making money, or health-related (physical and/or mental) matters. You recognize and agree that we have made no implications, warranties, promises, suggestions, projections, representations or guarantees whatsoever to you about future prospects or earnings, or that you will earn any money, with respect to your purchase of Instructional Video(s), and that we have not authorized any such projection, promise, or representation by others. (i) The Economy. The economy, both where you do business, and on a national and even worldwide scale, creates additional uncertainty and economic risk. An economic recession or depression might negatively affect the results produced by Instructional Video(s). (ii) Your Success Or Lack Of It. Your success in using the information or strategies provided at http://jazzheaven.com depends on a variety of factors. We have no way of knowing how well you will do, as we do not know you, your background, your work ethic, your dedication, your motivation, your desire, or your business skills or practices. Therefore, we do not guarantee or imply that you will get rich, that you will do as well, or that you will have any earnings (whether monetary or advertising credits, whether convertible to cash or not), at all. Internet businesses and earnings derived therefrom, involve unknown risks and are not suitable for everyone. You may not rely on any information presented on the website or otherwise provided by us, unless you do so with the knowledge and understanding that you can experience significant losses (including, but not limited to, the loss of any monies paid to purchase Instructional Video(s), and/or any monies spent setting up, operating, and/or marketing Instructional Video(s), and further, that you may have no earnings at all (whether monetary or advertising credits, whether convertible to cash or not). (v) Purchase Price. Although we believe the price is fair for the value that you receive, you understand and agree that the purchase price for Instructional Video(s) has been arbitrarily set by us. This price bears no relationship to objective standards. Any references to physical or mental health on this website constitutes an educational service consisting solely of general health information. The materials in http://jazzheaven.com are provided “as is” and without warranties of any kind either express or implied. (i) Not a Substitute for Professional Medical Advice or Treatment. The website’s content is not a substitute for direct, personal, professional medical care and diagnosis. None of the exercises or treatments (including products and services) mentioned at http://jazzheaven.com should be performed or otherwise used without clearance from your physician or health care provider. The information contained within is not intended to provide specific physical or mental health advice, or any other advice whatsoever, for any individual or company and should not be relied upon in that regard. We are not medical professionals and nothing on this website should be misconstrued to mean otherwise. (ii) Health Risks. There may be risks associated with participating in activities mentioned on http://jazzheaven.com for people in poor health or with pre-existing physical or mental health conditions. Because these risks exist, you will not participate in such activities if you are in poor health or have a pre-existing mental or physical condition. If you choose to participate in these risks, you do so of your own free will and accord, knowingly and voluntarily assuming all risks associated with such activities. (iii) Accuracy and Completeness. Facts and information are believed to be accurate at the time they were placed in http://jazzheaven.com. All data provided in this website is to be used for information purposes only. Products and services described are only offered in jurisdictions where they may be legally offered. Information provided is not all-inclusive, and is limited to information that is made available and such information should not be relied upon as all-inclusive or accurate. (iv) Injuries. You agree to hold http://jazzheaven.com, its owners, agents, and employees harmless from any and all liability for all claims for damages due to injuries, including attorney fees and costs, incurred by you or caused to third parties by you, arising out of the activities discussed on this website, excepting only claims for gross negligence or intentional tort. Testimonials, case studies, and examples found at http://jazzheaven.com are exceptional results, do not reflect the typical purchaser’s experience, don’t apply to the average person and are not intended to represent or guarantee that anyone will achieve the same or similar results. If we have disclosed typical results based on information provided to us by a manufacturer or other reputable third party source, you should presume that the typical results as stated are more reliable than the testimonials and examples found at http://jazzheaven.com. Any questions or concerns about these terms, conditions, and policies should be brought to our attention by email to falk[at]jazzheaven.com, and providing us with information relating to your concern. If you are concerned about these terms, conditions, and policies, you should read them each time before you use our website. Any questions or concerns should be brought to our attention by sending an email to falk[at]jazzheaven.com, and providing us with information relating to your concern. These terms, conditions, and policies were last updated on April 15, 2018. This website, including all text, HTML, scripts, and images are copyrighted, owned, and/or licensed by Fawi, Inc. dba JazzHeaven.com. All rights reserved. These website terms, conditions, policies, and notices are Copyright © 2008-2018 Law Office of Michael E. Young PLLC, and licensed for use by the owner of this website at http://jazzheaven.com. All Rights Reserved. No portion of this document may be copied or used by anyone other than the licensee without the express written permission of the copyright owner.